Justin Bieber is a huge car fanatic and has a huge collection of exotic cars and motorcycles. Beiber likes to customise his cars and popular auto design house - West Coast Customs has customised most of his cars. Justin Bieber has come to India, and believe it or not, his fans in India are going crazy to buy tickets for his concert. Bieber is slated to perform on the 10th of May at the D.Y. Patil Stadium in Mumbai, Maharashtra. The young pop star might surprise us by bringing in a convoy for the concert which will see a fleet of exotic cars because that is supposedly how Bieber likes to make an entry to his concerts. Interestingly, Justin himself is a big car fanatic and has a huge collection of exotic cars and motorcycles back home. In fact, Bieber has customised a lot of his cars and bikes, most of which are done by the popular auto design house - the West Coast Customs. Here's a list of cars and bikes that Justin Bieber owns or has owned in the past. 1. One of Justin's prized possessions is his customised Cadillac CTS-V Coupe a.k.a. the Batmobile. The car comes with matte black bodywork and an all-black cabin with leather interiors. Unlike the stock CTS-V Coupe, Justin's car comes with suicide doors and is powered by a 6.2-litre V8 engine. 3. Justin also seems to have a green side as among his worldly possessions, he also owns a Fisker Karma - the popular premium plug-in range-extended electric luxury sports sedan. 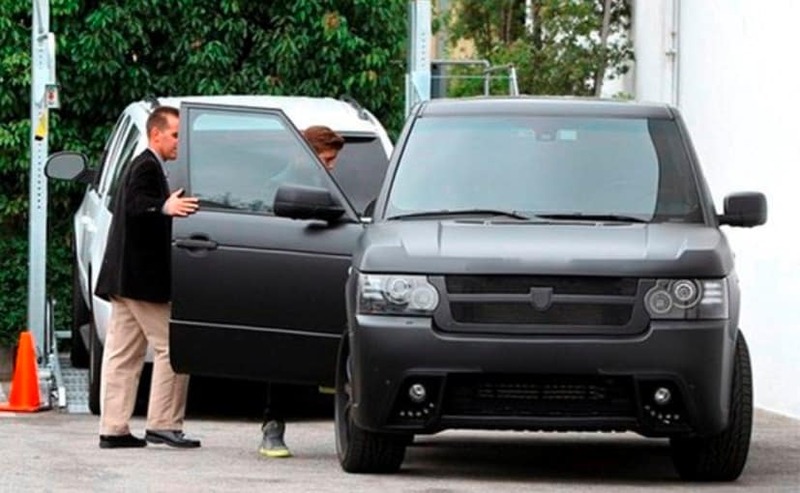 The car is quite popular among Hollywood celebrities and Justin also owns one. This one comes with a 2-litre turbocharged Ecotec engine assisted by a 120 kW electric motor that alone makes 161 horsepower. 4. 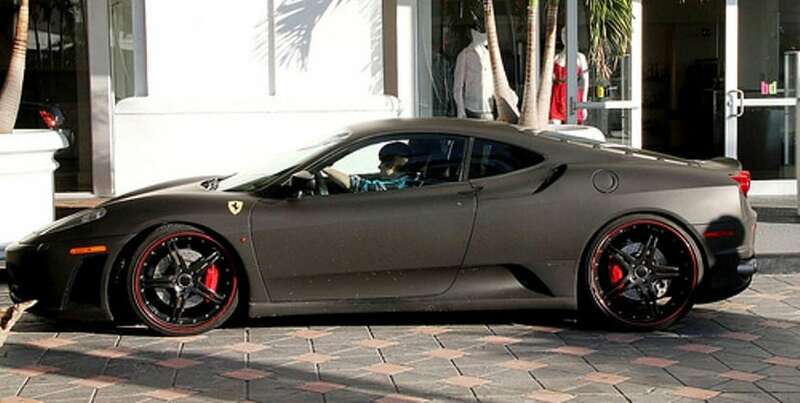 Bieber's love for matte black cars applies to his supercars as well as seen clearly from this customised Ferrari F430. 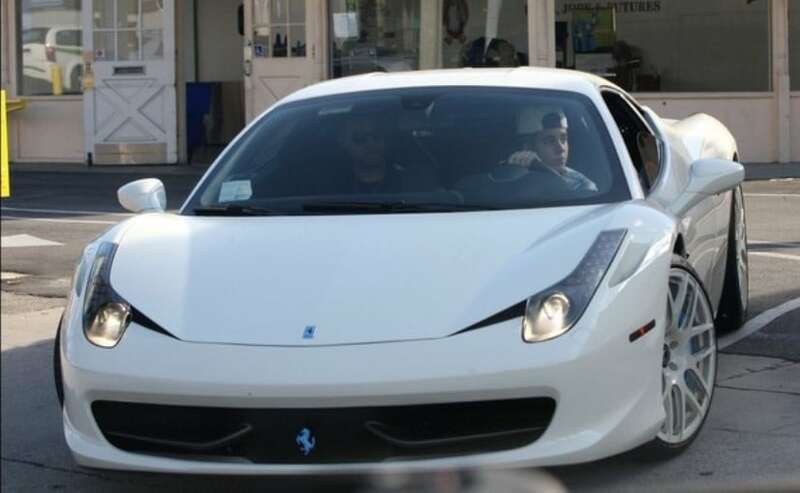 Justin bought this car when he turned 16. (In the US 16 is the legal age for driving cars). 5. The Ferrari 458 Italia is also a part of his car collection, which was actually bought to replace his F430. Unlike his previous Ferrari, this one came with a clean white paint job with light blue paint for the calipers and the Ferrari logos. The 458 Italia is powered by 4.8-litre V8. 6. Justin's Supercar collection also includes a Lamborghini Aventador coupe, and this one is also white in colour. Powered by a 6.5-liter V12 engine, Justin's Aventador hasn't received any major customisation. 7. 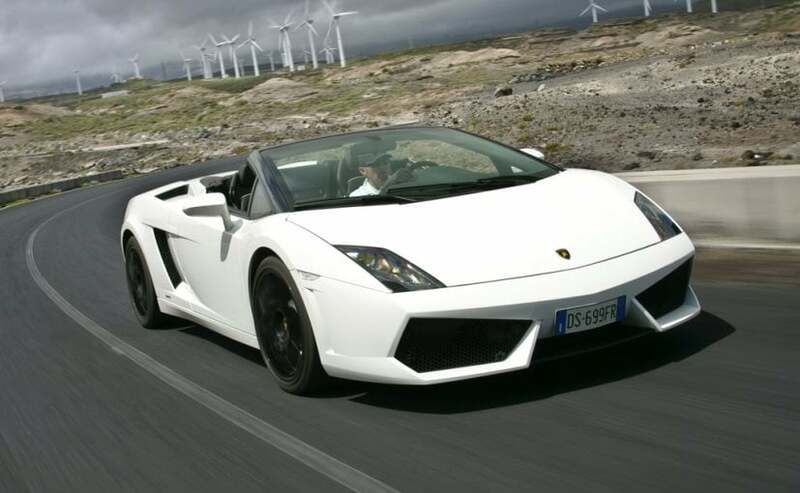 Justin also possesses a white Lamborghini Gallardo Spyder, which he got before the Aventador. The car was a gift from rapper Sean Diddy Combs for Bieber's 16th birthday in 2010. The convertible supercar was powered by a 5.2-liter V10 engine. 8. 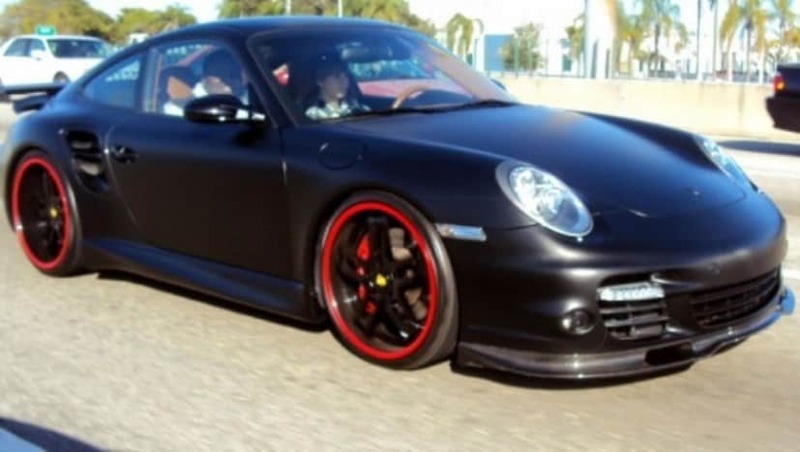 When it comes to supercars, Bieber has covered all bases as he also owns a Porsche 997 Turbo. As most of his cars, this one also has received a custom matte black paint job with red outlines for the tyres. This one features a 3.6-litre turbocharged flat-6. 9. 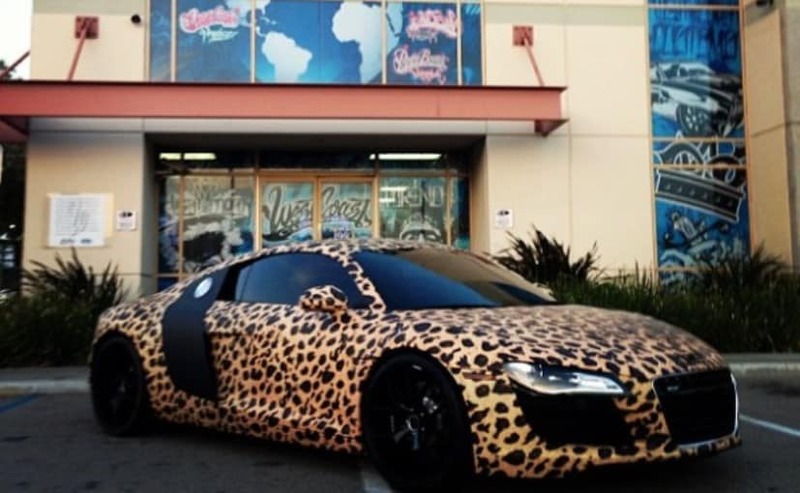 One of his most unique cars is a leopard printed Audi R8 that has also been designed by West Coast Customs. The R8 is powered by a 4.2-litre V8 engine. 10. 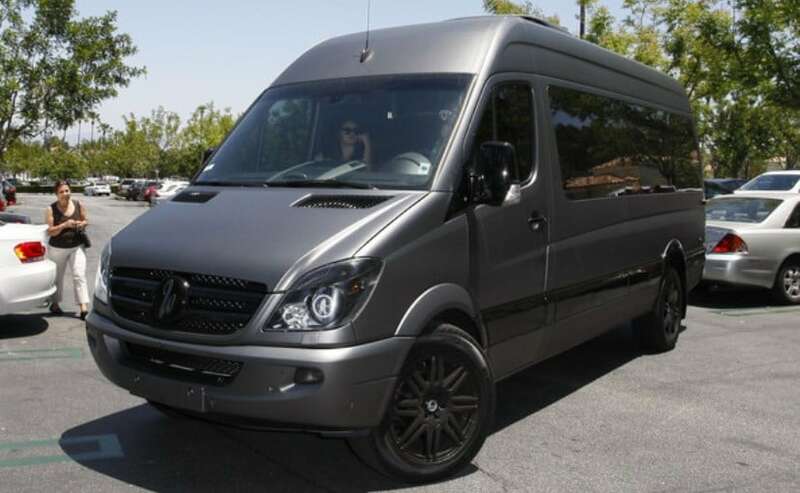 Justin's four-wheeled collection also includes a Mercedes-Benz Sprinter Van designed by West Coast Customs. This touring machine also comes gets the signature matte black treatment and a pimped-out cabin. 11. Bieber also owns a Campagna T-Rex 14R - a Canadian-made three-wheeled motorcycle with two adjoining seats. It has a 1.4-litre straight four engine and a steering wheel instead of handlebars. 12. Among two-wheeled machines, Justin owns an MV Agusta F3 gifted to him by his father for his 19th birthday. 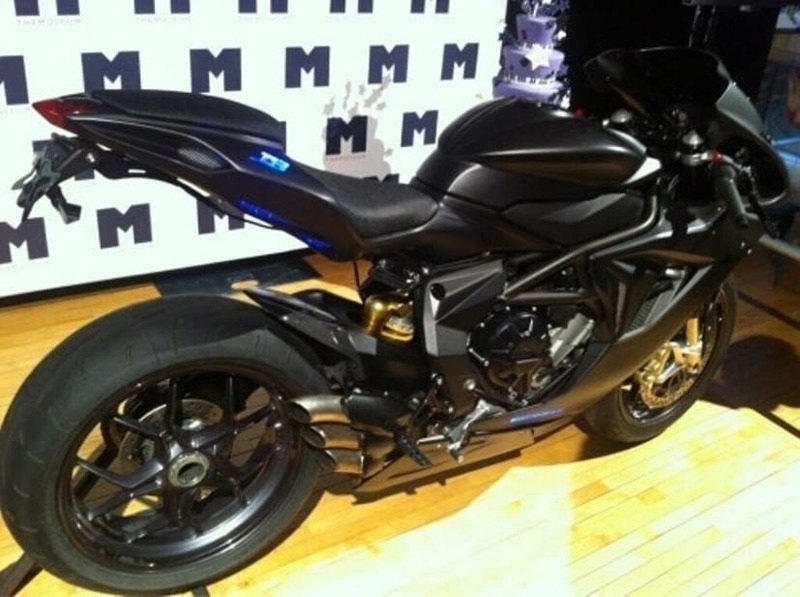 The bike is also custom designed with a matte black paint job and blue LED lights and Justin calls it the 'Bat Bike'.